No one wants to buy a home without knowing what they’re getting themselves into. As a buyer, the mystery that comes with not knowing the condition of a home is unnerving. This is why getting a home inspection is essential. It is also important to know your home inspector and their procedures before starting the process. Are you a member of a professional home inspector association? Are you experienced in residential inspection? How long have you been inspecting homes for? Do you offer any repairs or improvements based on the results of the inspection? What kind of report do you provide? How long will it take to receive that report? Asking these questions will allow you to spot any red flags and help you determine if your home inspector is as good as they claim. Not providing documentation or identification that shows they are a member of a professional home inspector association. While being a member of a home inspector association doesn’t guarantee that the inspector is an expert, it is safe to assume that non-members are not experts. Not providing referrals or work history upon request. If the inspector is unwilling to provide referrals or their related work history upon request, they may not be as qualified or experienced as they claim. An inspector will not let you attend the inspection. It is important for you to attend the inspection. Not only are you able to make sure the inspector is thorough, but you will also be able to address any concerns about the home firsthand instead of after the report has been filed. A good home inspector will let you come on the inspection with them; a great inspector will talk you through it as they inspect each area of the home. The inspector will not let you see a copy of their inspection report prior to the start of inspection. Your inspector should let you see a copy of the inspection report before they begin. 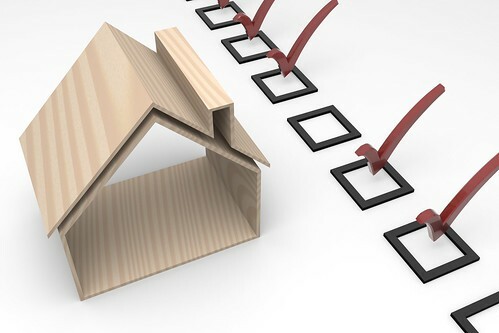 The report details everything that will be covered during the inspection, and receiving a copy of it beforehand will allow you to ask any questions or add on specific areas you want to be inspected. An average inspection can take two to three hours. You should expect to receive the full, completed report within 24 hours. Not all inspectors make repairs onsite, but if they do, make sure to utilize their services. Finally, the cost of an inspection can vary, but an average range can be from $300-$500. Make sure your home inspector answers the questions above before you begin, and always take precautions when you notice red flags. Check out the Department of Housing and Urban Development website for more details on choosing the right home inspector.